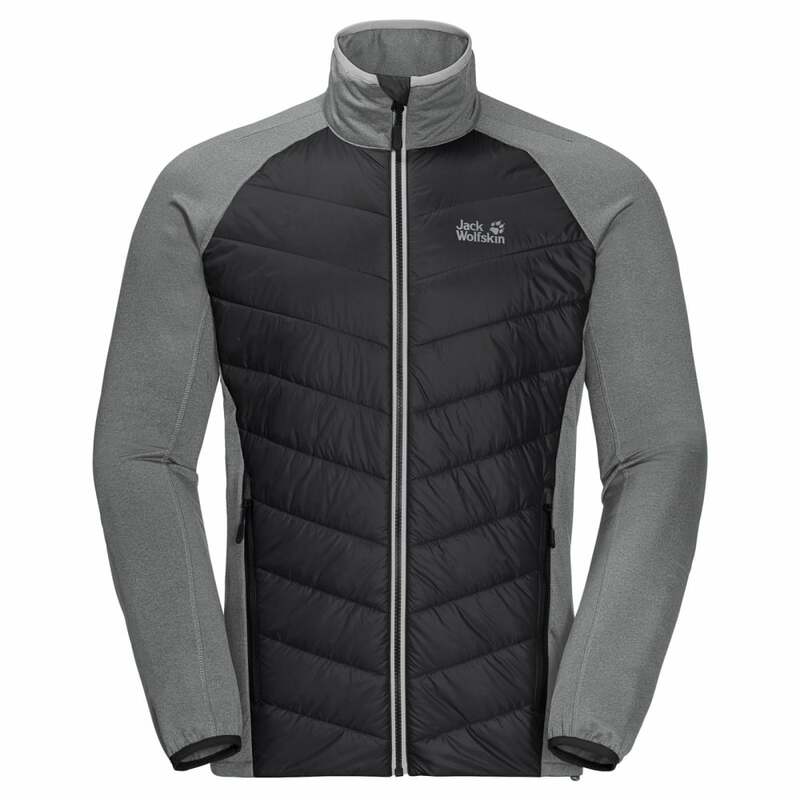 The Jack Wolfskin Mens Sutherland Crossing Fleece is a stretch insulated hybrid jacket perfect for cold days on the trail while the front is windproof and insulated and the sleeves are constructed from stretch fabric to ensure no restrictions on movement can slow you down. Quick Moisture Control (Q.M.C) technology ensures the fabric is highly breathable and fast drying, providing active moisture management. The fabric efficiently wicks moisture away from the skin and dries quickly, ensuring you stay dry and comfortable during high exertion activities.